Since the introduction of a new multilingual curriculum in her school and the arrival of two teachers who have been trained in Multilingual Education, Loul can now learn in her native language which makes school much more inviting and enjoyable for her. “It’s a good school”, says her mother Brorlang Ngam, “my daughter is learning, it's helping her to be smarter and brave. I want her to speak Khmer better and one day to speak English.” She would like her daughter to be a teacher one day, but only if she wants to. “I want her to go as high as she can go.” Since learning in her own indigenous language Loul now has many interests at school, and with the gradual introduction of Khmer, she has become a dedicated student who often scores full marks in her tests. In the evening at home she studiously does her homework, using a torch for light, and loves to draw illustrations to support her answers. In fact, her illustrations are so good, her mother thinks she may even become an artist in the future. Loul Bopha’s enjoyment at school and the ability to learn in her native language of Kreung, whilst also learning Khmer in parallel, has been made possible by the Multilingual Education National Action Plan (MENAP). The Royal Government of Cambodia with the support of UNICEF and its partners developed MENAP to address the low enrollment and high drop-out rate of indigenous children in Cambodia. The Multilingual Programme has been instrumental in making access to education more equitable to indigenous children like Loul. The Multilingual Programme trains and enables teachers to provide a welcoming environment for young children who speak a minority language. 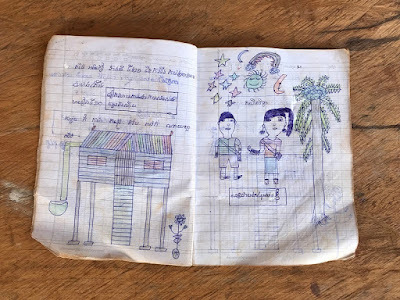 For Loul and her family, the multilingual curriculum demonstrates that Kreung is a legitimate language of learning, which in turn increases their interest in the school and their participation as pupil and parents. Throughout the rural provinces where multilingual education is being applied, the numbers of indigenous children enrolling in school has increased, while the numbers of children dropping out has decreased. “We saw that the rates of class repetition and dropouts were low since we have created the programme.” says Pa Sotha. “Moreover, the parents and communities are involved in the school programme such as creating of community schools, providing land for construction of schools and also helping out in terms of labour workforce or pillar and fences to protect the school.” This is certainly the situation for Loul Bopha and her mother, who is much more engaged with the school and what her daughter is learning, often going to the school to meet and speak with the teachers. She keeps all of Loul’s old school books and takes great pride in showing them to family and friends, especially the good marks and the beautiful drawings. With the support of partners, Primark and SIDA, UNICEF and the Royal Government of Cambodia have been able to make huge progress in delivering quality education services to children throughout the country, and in the case of the Multilingual Programme this means children in some of the most remote parts of the country now have access to an education that was previously unattainable. 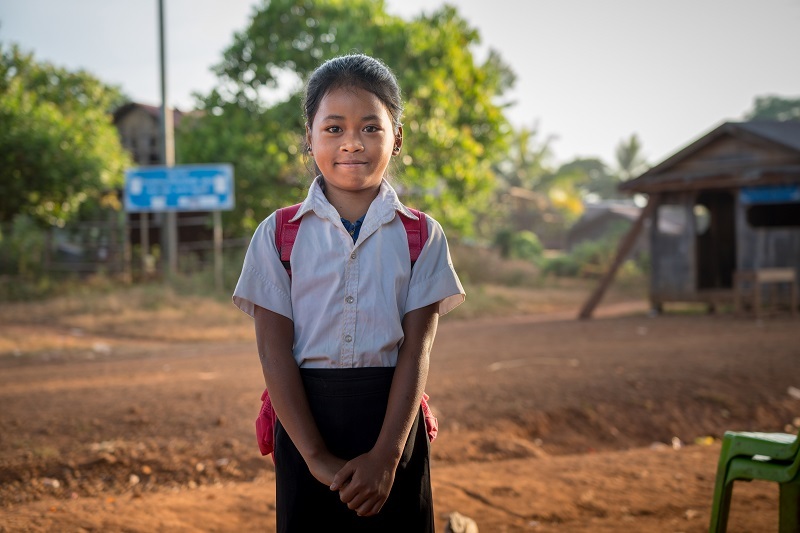 Loul Bopha is one of these children, and her enthusiasm for school, her enjoyment in class and her ideas for her future are proof that children from all backgrounds, ethnicities and status, deserve their right to a quality education.